Curiously, the 2002 winner of the prestigious W.C. Handy award (the blues equivalent of the Grammys) for Best New Artist was a 53-year-old man who began playing as a teenager in the 1960s. 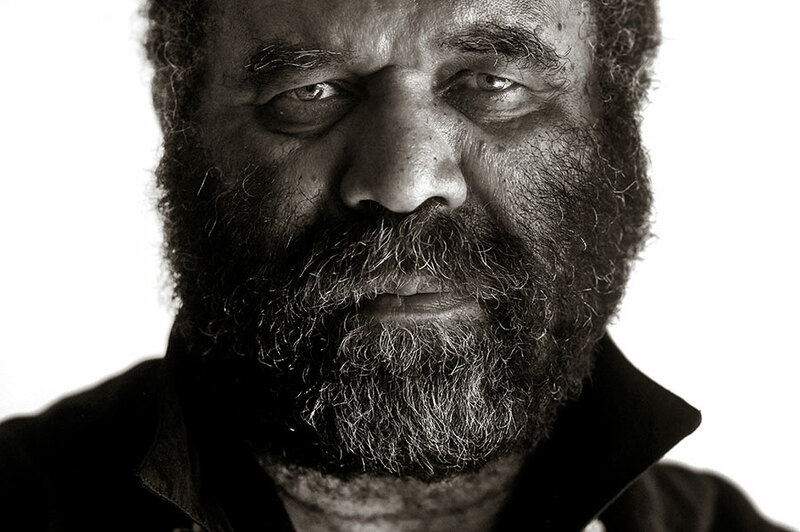 But there are no overnight success stories, and writers and performers of Otis Taylor’s caliber hardly come out of nowhere. Born in Chicago, the son of a railroad man, Taylor grew up in Denver after his family relocated, motivated by an uncle’s murder. An adolescent Taylor began not only listening to music but aching to create it. He spent afternoons and weekends at the Denver Folklore Center, where he bought his first musical instrument, a used ukulele. Next up was a banjo. “All the instructors taught me how to play music during their breaks—I never had to pay for a guitar lesson,” Taylor said. “I already had an attitude about being different. I was making sandals back in ‘64 way beyond when that hippie stuff started up—that all came out of the folk scene that I was hanging out with. Taylor began playing folk blues after meeting such masters as Son House and Fred McDowell. By the time he drifted to Boulder, he had already led a couple of groups. He managed to save enough money to travel to London in 1969, where a brush with Blue Horizon Records lasted only a few weeks. Back in Boulder, he hooked up with Tommy Bolin, who was on the rebound from the personnel changes and business chaos that surrounded Zephyr. However, Taylor retreated from the music business in 1977. During a sabbatical that lasted almost two decades, he did not perform in public, preferring to refine his gruff vocals and technique on guitar, harmonica and banjo. He became a successful antiques dealer and then organized one of the first all-black bicycling teams. Taylor’s scary, stinging style relied little on the standard 12-bar blues structure and “woke-up-this-morning” lyric clichés. Besides thoughtful, vivid first-person storytelling, Taylor applied fables and allegories from distant times and places. In a breathy style, he talked-moaned his dark vignettes. Some of them touched on the pain and misery of romantic infidelity, but most were peppered with vitriolic social commentary about the African-American experience. Taylor self-released Blue-Eyed Monster, a mini CD. It caught just enough critical acclaim to convince him to record a full-length CD, When Negroes Walked the Earth. He sang about the lynching of his grandfather on his 2001 follow-up, White African, and the buzz eventually landed him some national exposure, leading to his four 2002 Handy nominations. He’s released a steady cavalcade of intriguing, critically acclaimed albums—Respect the Dead, Truth Is Not Fiction, Double V, Below the Fold and Definition of a Circle. Augmenting his band on several songs were Ben Sollee’s evocative cello lines and the background vocals of his daughter, Cassie. The revelatory Recapturing the Banjo appeared in 2008, a mission statement to present the banjo in a clearer historical light; the banjo was originally an African instrument, arriving in the New World via the slave trade and turned almost exclusively into a white bluegrass instrument. Pentatonic Wars and Love Songs, released in 2009, was a dark and jazzy examination of the power and complexity of desire beyond mere romance, much bleaker than easy love/dove/above rhymes. Taylor has toured in clubs and at festivals, achieving arguably more prosperity in Europe than in the States, in some respects mirroring the traditional blues success overseas. “When I stopped writing songs in the ’70s, psychologically, I went to sleep like Rip Van Winkle and then I woke up,” Taylor said. “When I was a kid, everybody always wanted to turn somebody on to new and exciting music—I thought the whole thing was about discovering people. That attitude was dangerous for my career when I came back to music. It was a whole new industry—it got commercial. For the first few years, it caught me off guard. I had to readjust. I had the energy, but I was naïve. I pissed off a lot of people. I got a reputation for being snobby. Taylor continued to bring a spellbinding intensity to his music. Taking the easy route never appealed to him.